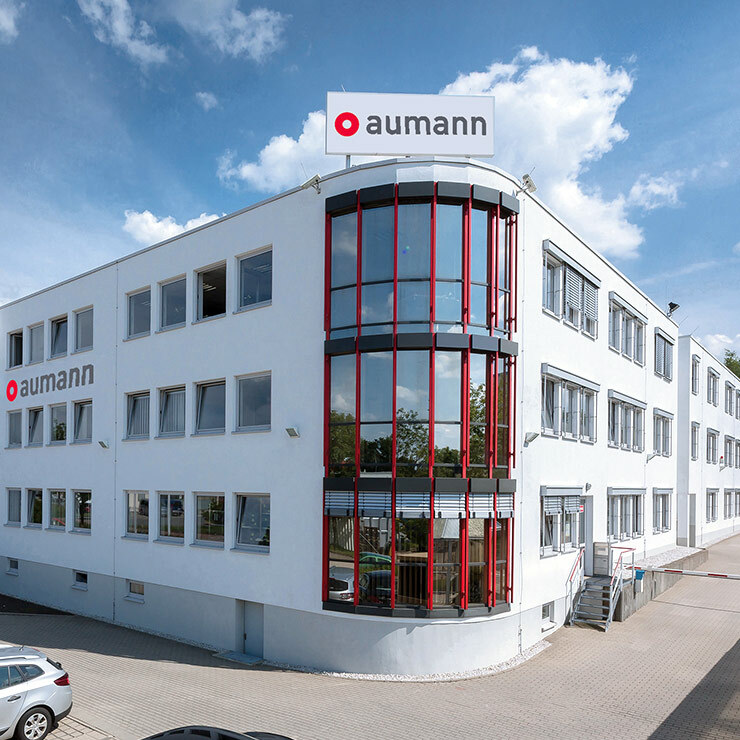 Aumann assembly and handling technology – both customer-specific and project-specific combinations for high-performance machines and systems. 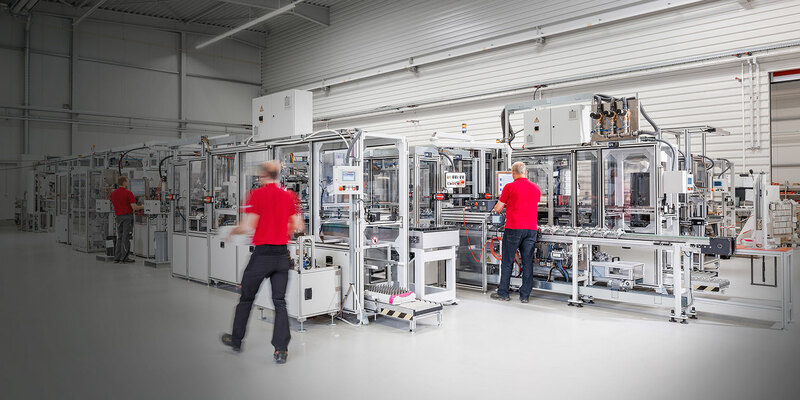 Whether manual, partially automated or fully automatic: Complete system solutions from a single source ensure conceptual continuity and consistency – from the material flow, through assembly processes, right through to product, process and machine data acquisition. 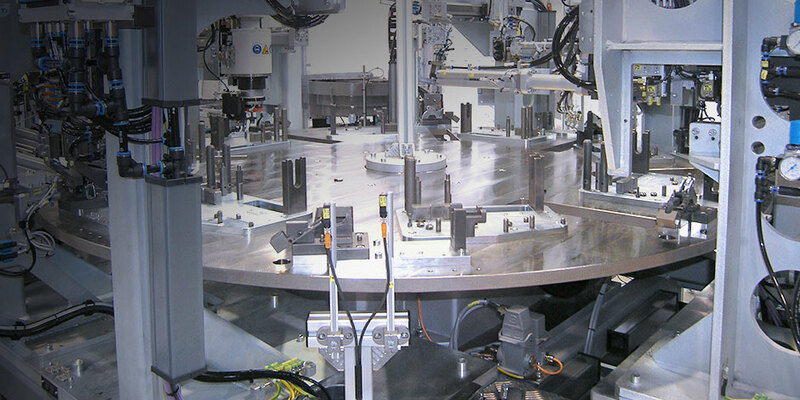 Single belt transfer – the production line classic, and still the preferred solution for many systems. 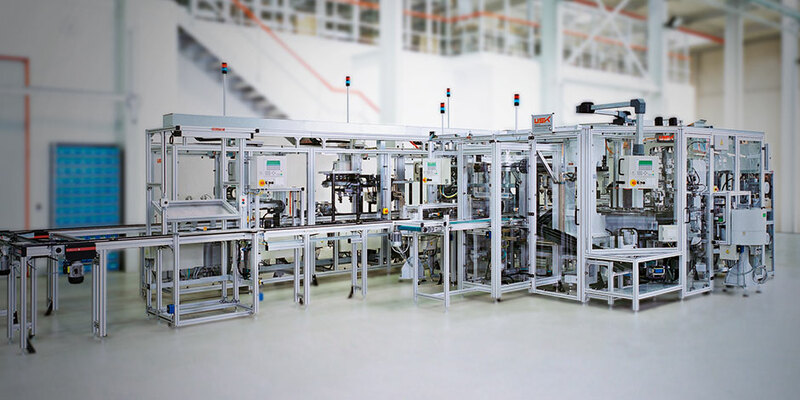 Whether a double belt or accumulating roller conveyor, a linear path or circulating system – modular transfer technology provides solutions for practically all applications. 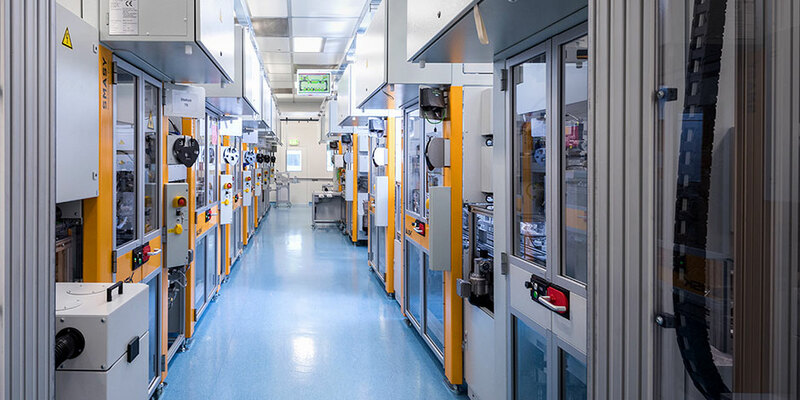 Fast, precise, reliable – synchronized systems are the system of choice for rigidly coupled processes and short cycle times. 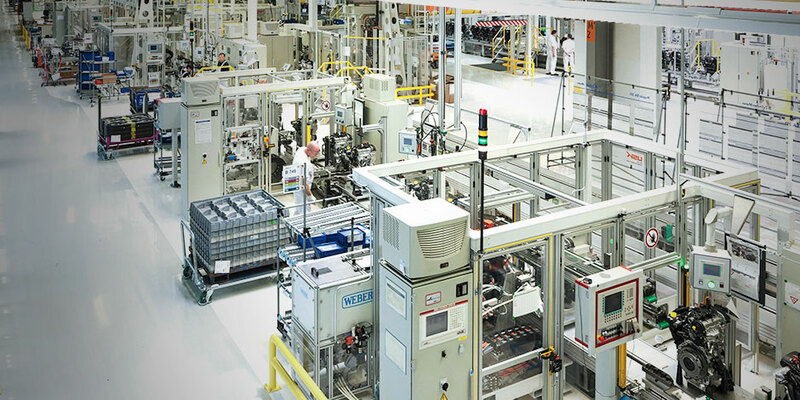 Both space-saving and cost-effective – compact system technology for series assembly. 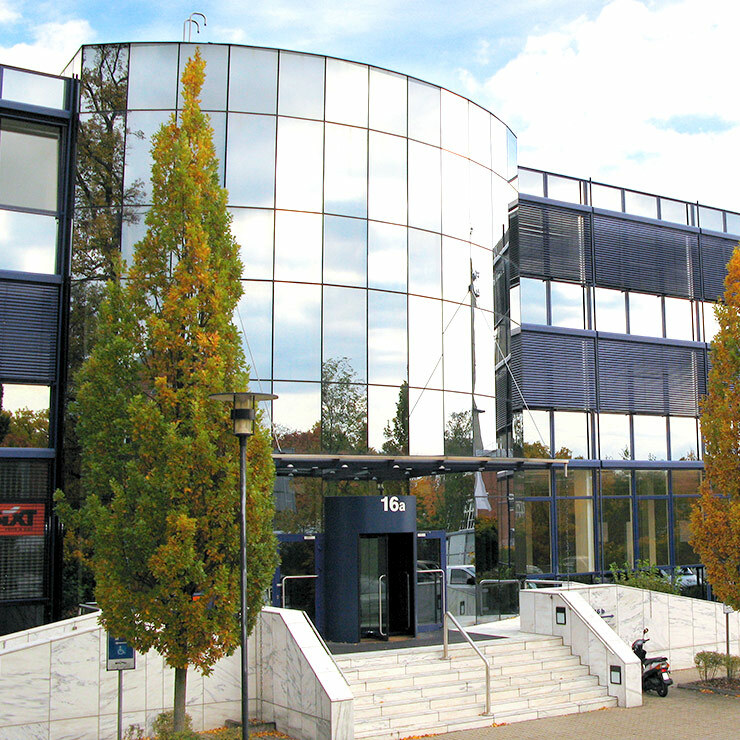 Modularity is the prerequisite for flexibility, scalability and the reusability of system technology. 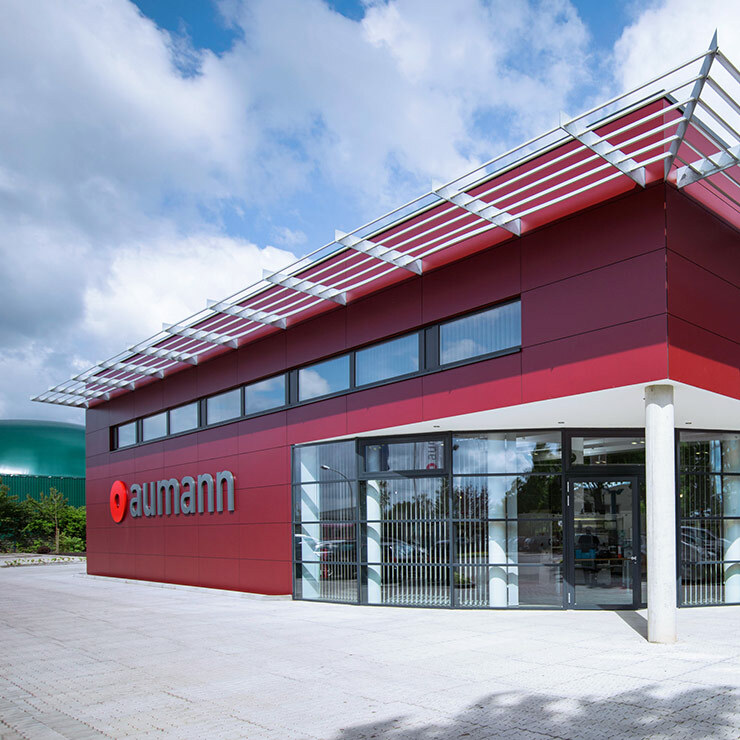 Standardised assembly systems lead to well-engineered solutions that work reliably and that are very easy to maintain. 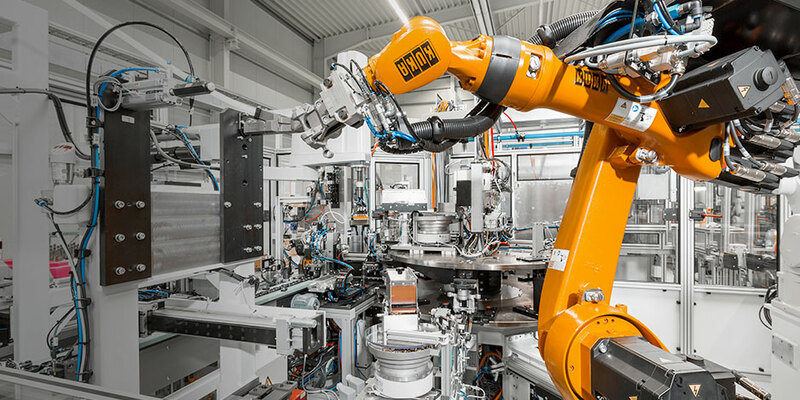 Robots can be used to master highly complex motion sequences. 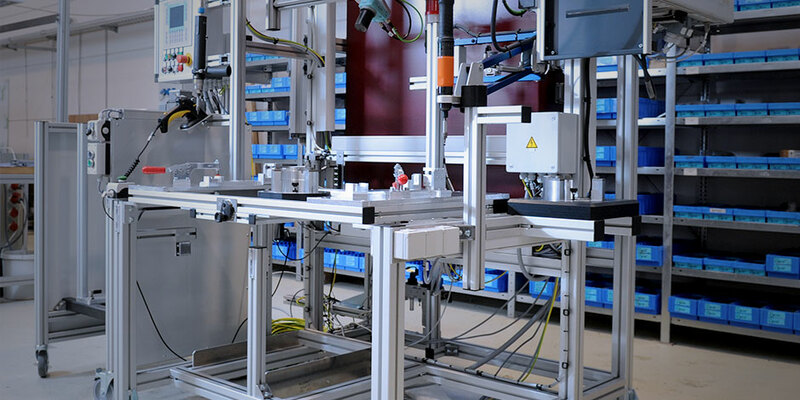 They can be programmed precisely and flexibly, are robust in the production environment, low-maintenance and reliable over many years. 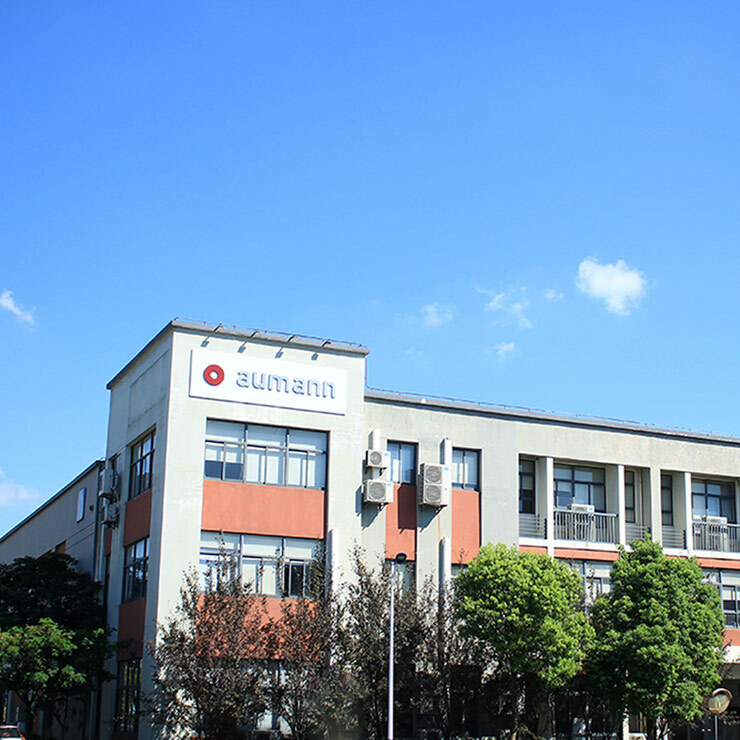 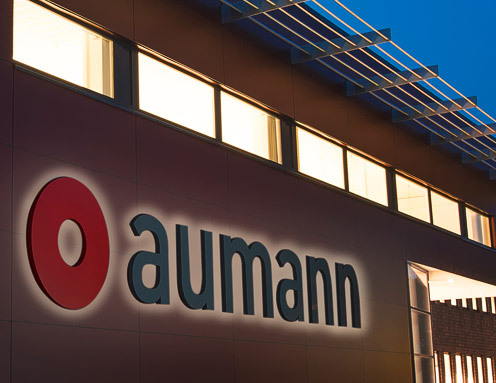 Aumann uses robots to best effect, and is the contact partner of choice for developing cooperative robot systems and intelligent human-machine interactions. 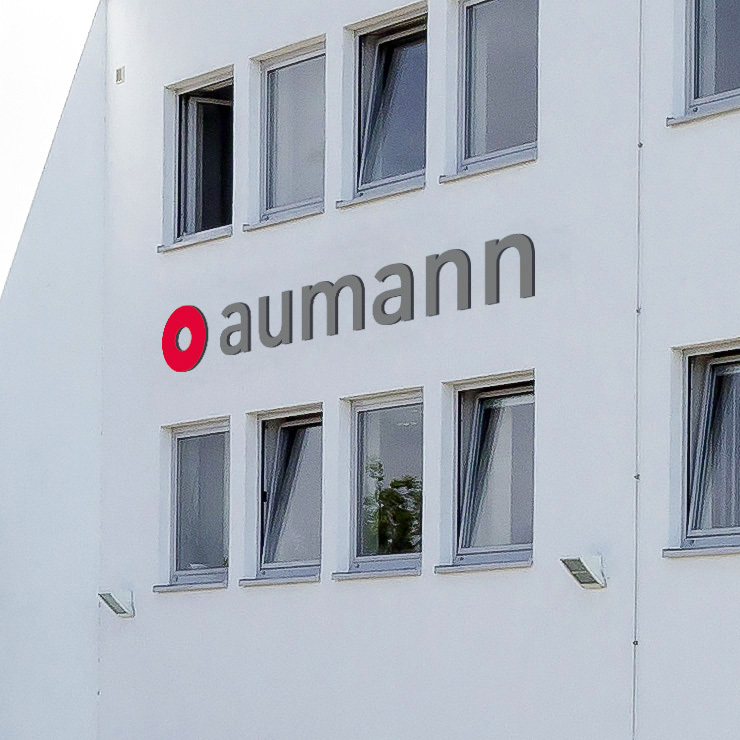 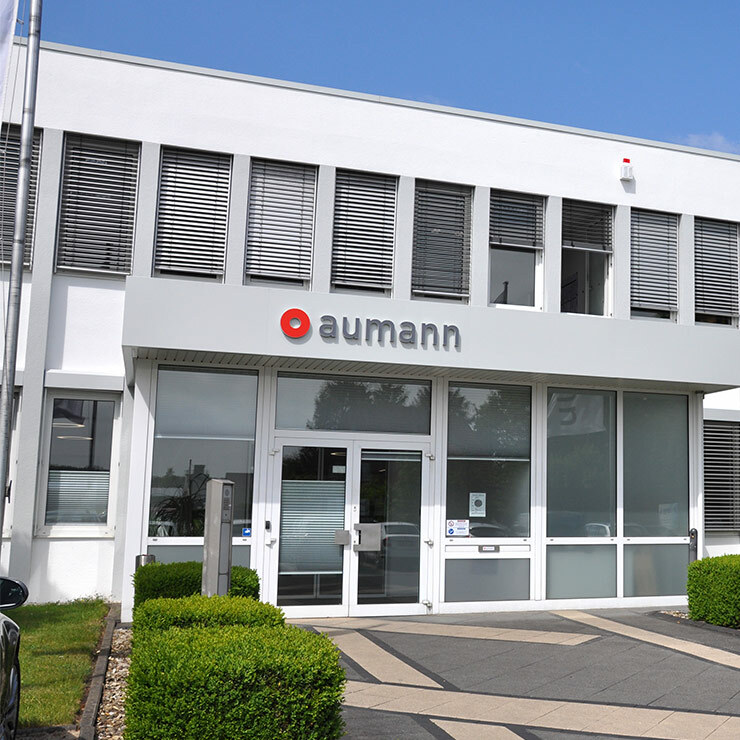 Whether a manual workstation, a partially automated station with manually activities or a fully automated individual station – our experts have a clear overview and many years of experience in the customer-specific implementation of versatile assembly processes.Whether standing or sitting: Aumann harmonises ergonomics and work productivity.